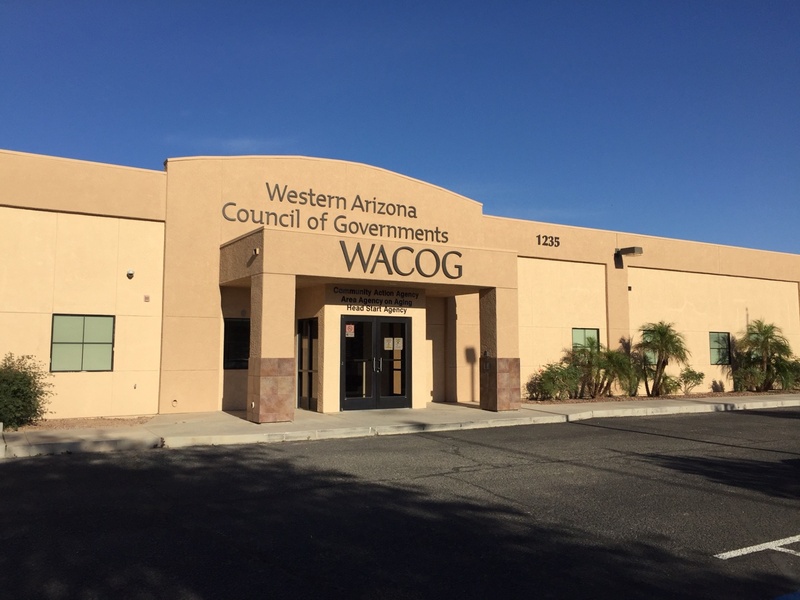 Welcome to the Western Arizona Council of Governments (WACOG) website. Founded in 1971, WACOG is a governmental non-profit that is dedicated to serving low-income households and vulnerable populations in Arizona’s La Paz, Mohave and Yuma Counties. As the designated Community Action Agency, Head Start provider, and Area Agency on Aging for Western Arizona, WACOG provides a comprehensive array of services that support people and communities in achieving self-sufficiency. WACOG strives to alleviate the symptoms and eradicate the causes of poverty by identifying community needs, mobilizing resources, coordinating services, administering programs, and providing systematic advocacy. WACOG works on a broad range of issues and programs including: the Community Development Block Grant (CDBG), Community Services Block Grant (CSBG), Head Start, Health, Low-Income Home Energy Assistance (LIHEAP), Nutrition, Services for Older Americans, Social Service Block Grant (SSBG), Transit and Transportation, Tax and Income Policies, and Weatherization Assistance. In the late 1960’s the federal government began requiring increased collaborative planning with the goal of improved uniformity, long-range planning and closer program coordination across city, town, county and state boundaries. Arizona’s response to this requirement was to create 6 regional planning districts. The Councils of Governments, AKA Regional Councils, are the voluntary associations within these planning districts. WACOG serves the Region IV planning district, covering Mohave, La Paz and Yuma Counties. WACOG was created to: improve efficiencies and coordination across multiple federal programs; develop long-range strategies to address needs, particularly in areas of transportation, the environment and human services; and, be a mechanism to address issues such as communication, planning, policymaking, coordination, advocacy and technical assistance. WACOG envisions communities where all residents, including those in poverty and the most vulnerable populations, can flourish and prosper. WACOG believes that all people should have the tools needed for self-sufficiency and that all should be empowered to achieve their full potential and contribute to a vibrant, sustainable and diverse community. Our mission is to educate, stimulate, promote and develop human, natural, social and economic resources to their fullest potential in La Paz, Mohave and Yuma Counties.